Winston-Salem, NC, February 22, 2018 – At a news conference this afternoon, Alan Proctor, Chair of the Board of Trustees for Forsyth Technical Community College in Winston-Salem, NC, announced that the college’s President, Gary M. Green, will retire December 31, 2018. Green is the longest serving president at Forsyth Tech. A search committee, co-chaired by Ann Bennett-Phillips of Capital Development Services and Edwin L. Welch Jr., of I.L. Long Construction, will follow State Board of Community Colleges procedures to identify a new president. They expect to have a new president in place in January 2019. Green began his tenure as President at Forsyth Tech on July 1, 2001. His goal was to align the College’s programs with the changing economy, with a focus on achieving high student success and completion rates. Green’s work attracted the attention of President George W. Bush and President Barack Obama, both of whom visited the campus, and the U.S. Department of Labor. These visits brought attention to new curricula in areas like biotechnology and nanotechnology and opened doors for the College to become a regional, state, and national leader in biotechnology that included development of the National Center for the Biotechnology Workforce. The College is known as a leader in cybersecurity and was designated as a Center of Academic Excellence-Cyber Defense Education and was named the East Central Regional Resource Center by the National Security Agency and Department of Homeland Security. Forsyth Tech partnered with Northern Virginia Community College and Goodwill International to establish national models for Community College/Goodwill collaborations, once again bringing national attention to the College. The Race Car Technology Program was renamed for the legendary Richard Childress, and with his support and other automotive partnerships, the program is now one of the state leaders in Motorsports Technology. Academic excellence led Forsyth Tech to be selected as one of four community colleges in the U.S. to pilot the National Association of Manufacturers Endorsed Skills Certification. Green is a member of the Manufacturing Institute’s Education Council. Green’s knowledge and passion for the potential that community colleges offer individuals, companies, governments and other entities is evident through speeches and presentations for the U.S. Department of Labor. He also has had national roles on the Executive Committee of the 2006-2009 American Association of Community College Board of Directors and as the Chair of the organization’s Public Policy and Government Relations Committee. Green is a frequent speaker, panelist and contributor to organizations and events such as with The Aspen Institute, Higher Education Research and Development Institute, President’s Council of Advisors on Science and Technology, and White House Conference on the Economy. He has been a spokesperson and commentator on community college and workforce development issues with CNN, C-SPAN, NPR, and the Huffington Post. Green led the Momentum (2005-2010) and Pathways to Possibilities (2015-2018) capital campaigns that raised more than $33 million. He also led the physical expansion of the College with $100 million in new and renovated facilities. Forsyth Tech is a comprehensive community college with 7,500 credit and 20,000 non-credit students, 550 full-time and 1,100 part-time employees, and a budget of $100 million. 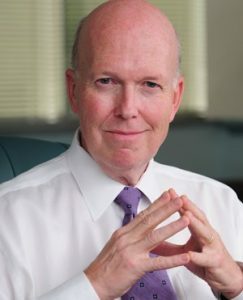 Green currently serves as the Legislative Chair for the North Carolina Association of Community College President and has held this role for multiple terms. He also serves on the NC Department of Information Technology Cybersecurity Work Group, Piedmont Triad Talent Alignment Steering Committee, The Manufacturing Institute Education Council, Winston-Salem Alliance Board, Wake Forest Innovation Quarter Advisory Board, Winston-Salem Chamber of Commerce Board and Executive Committee, Winston-Salem Business Inc. Board of Directors, Winston-Salem Foundation Board of Directors, Center for Design Innovation Board of Directors, Hospice and Palliative Care Center Board of Directors, and Winston-Salem Rotary Club. Holding a B.A. and M.A. in English and Ed.D. in Higher Education, all from the University of Kentucky, Dr. Green’s career prior to Forsyth Tech included leadership positions at Calhoun Community College, Decatur/Huntsville, AL, where he received the Chancellor’s Award for Outstanding Administrator of the Year from the Alabama College System; Owensboro Community College, Owensboro, KY; and Elizabethtown Community College, Elizabethtown, KY.